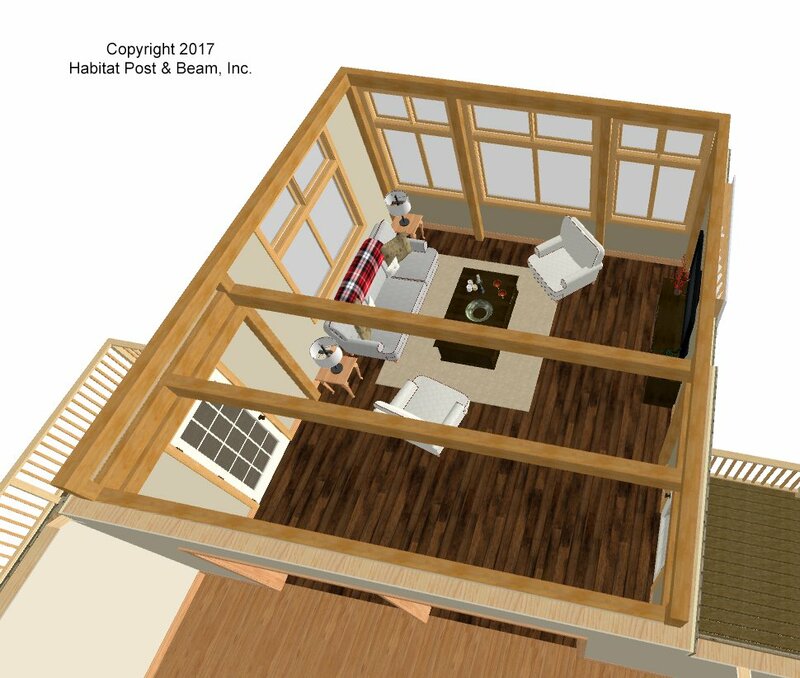 Part of a main level renovation plan, this 18x20 living room addition with a loft will be built onto a home on Martha’s Vineyard. 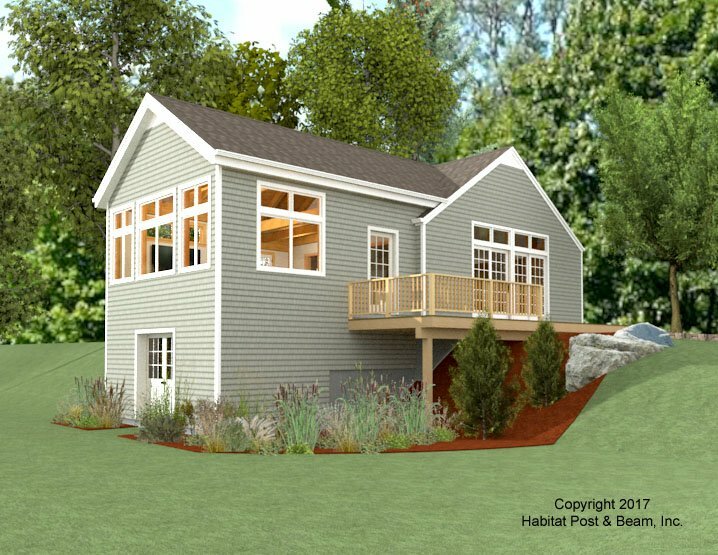 This light-filled addition uses our Beamed Roof System (http://www.postandbeam.com/roof-framing-system), Full Exposure Exterior Wall System (http://www.postandbeam.com/wall-framing-system), and the Beamed Mid-Floor System under the loft area (http://www.postandbeam.com/floor-framing-system). 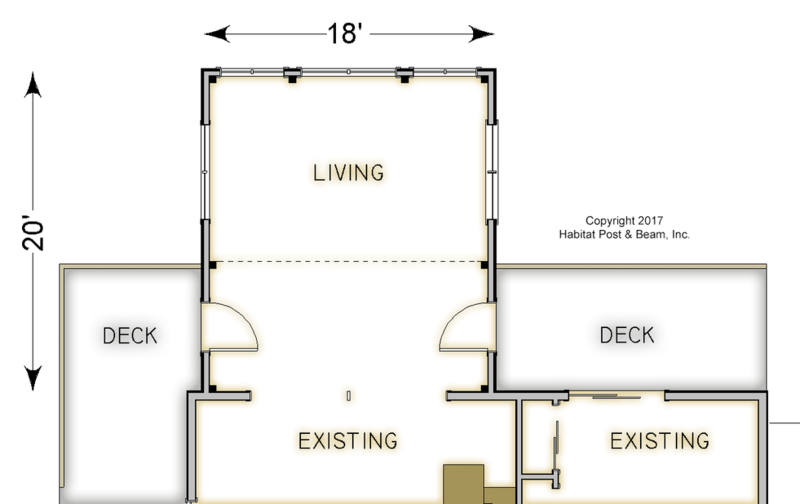 The lower level takes advantage of the sloping site, and can be used for storage/utilities, or an extra private bedroom or office with the addition of windows. Package Price: $55,500 as specified below (from $44,000 to $55,500 depending on framing options). 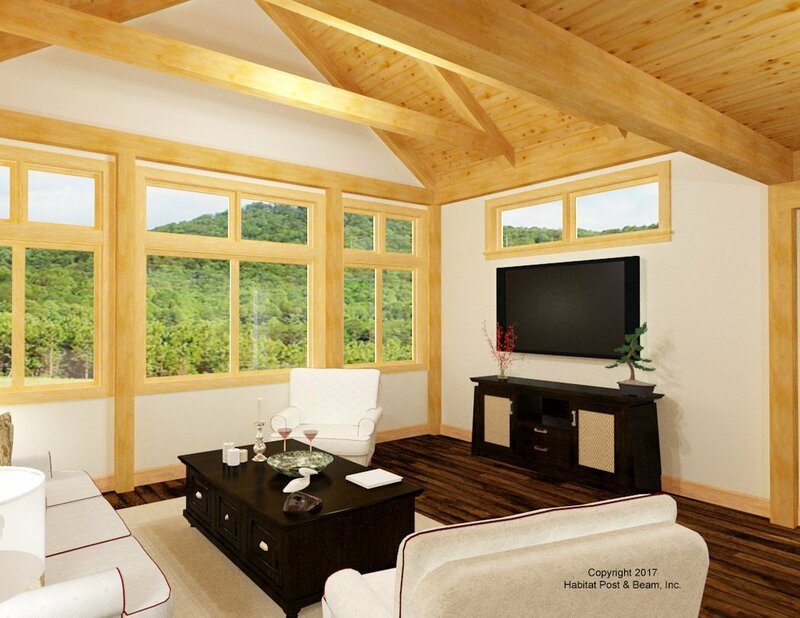 The standard price includes our Full Exposure Wall System, Beamed Mid-Floor System (loft), and our Beamed Roof System. The walkout basement is not included in the above pricing.